After an organised visit to the Greyhound hotel in Carshalton I was left gobsmacked and very disappointed with the mindset of the manager, Colum McCarthy. Despite having an agreement with another member of staff, James which I confirmed 4 times in good faith prior to my visit. The manager Colum McCarthy over ran the decision with his unreasonable, unnecessary aggressive behvaiour lacking the hospitable feel of a hotel pub and restaurant. Unfortunately my client was a witness to the manager’s unreasonable and unnecessary behavior. Colum McCarthy, the manager of the Greyhound hotel verbally abused us and the outcome was we left the property. 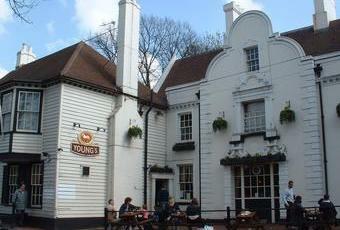 If you are thinking of visiting the Greyhound hotel in Carshalton and making a meeting reservation with the ‘lovely team’ down there I would seek additional confirmation from Colum to verify, if you are to avoid being subjected to his truly hostile, confrontational and unnecessary approach. I have never experienced anything like this before. It wasn’t much fun at all but I moved on. In fact you may want to think twice altogether about visiting The Greyhound hotel in Carshalton. It used to be ok but I am led to believe it is under new management, whom have a truly unique way of running a hospitality business. My star rating is minus 5!!! We need to talk about Young's. We need to say that their pubs, since divesting themselves of their brewery arm, are no longer so much pubs as hotel-restaurants. I am sure the hardworking staff of this gaff as others are blameless but this is not a pub with a welcoming atmosphere. Levity was only achieved by a lady pronouncing Wells and Youngs Bombardier as though it was the name of the Canadian aerospace company. And why not? Dropped in to kill 20 minutes after fleeing the too-heavy Hope up the road. Bit of a schizophrenic place - it's a hotel pub, very historic and easy on the eye from outside, - with smart dining room and public bar interconnecting and a weird separate trolls-nest of another bar. Prices for even bar food very high - didn't try. Odd public bar ambiance: sports TV screens; some dining tables; some too-low stools and banquette-style seats. Doesn't quite gel. OK pint of Winter Warmer but the Ordinary Bitter and the Christmas Ale both off. Poor. Not a relaxing place at all, got very busy later on though. Meh. Never fails to dissapoint! Awful meal, slow staff, half of the stuff on the menu unavailable. 50 minute wait to pay bill. Lest we forget. I did, so will now wait another two years before going there again, and being dissapointed once more. Oh, and save yourself the money for a comedy boxset this Christmas - just have a look at the prices they charge for a pint of Carling! 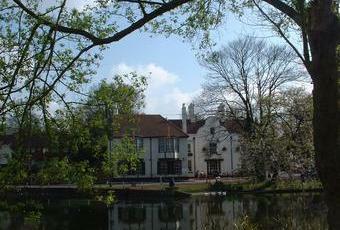 This place has a great location opposite the ponds in Carshalton. Sunday was my first ever visit to Carshalton and I was left impressed. Sadly the pub does not live up to expectations. It's another Youngs hostelry that appears to have had the dreaded facelift. The building has lots of different rooms and looks as if it used to have possess character. Now it has been spoilt by too many modern touches. This was another pub advertising a beer festival throughout May. York Yorkshire Terrier was their one guest beer for the week. Youngs Bitter, Special & Waggledance completed the "festival". Inspiring! Could be so much better.